The apex court said that Article 239AA of Constitution is unique with respect to Delhi and prima facie it appears that the LG is given more powers here, unlike in the other Union Territories. 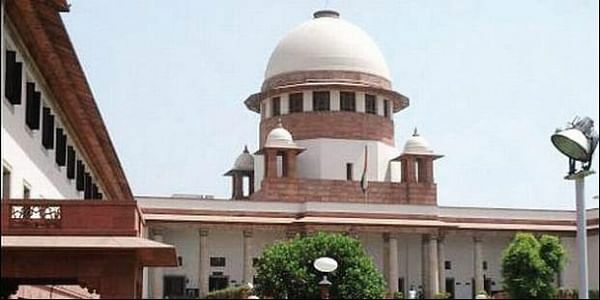 NEW DELHI: The Supreme Court today commenced a crucial hearing to determine whether the elected government or the Lieutenant Governor enjoys supremacy in administration of the Union Territory of Delhi, observing that the constitutional scheme was prima facie tilted in favour of LG. A five-judge constitution bench headed by Chief Justice Dipak Misra is hearing a batch of pleas filed by the Delhi government against the high court verdict, which had held that Delhi is not a state and the LG is its administrative head. AAP government told the apex court that its ministers have to bow down before the bureaucrats to get their opinions and, by virtue of proviso in Article 239AA, the babus do not acknowledge them as the heads of the departments. "Article 239AA is unique to Delhi. Prima facie it appears that it gives more power to Lieutenant Governor unlike other Union Territories. LG in Delhi has the primacy under the Constitution," the bench, also comprising Justices A K Sikri, A M Khanwilkar, D Y Chandrachud and Ashok Bhushan, said. It put several questions on Article 239AA to senior advocate Gopal Subramanium, who led the arguments for the Delhi government. Subramanium said that LG was taking several executive decisions and a harmonious interpretation of Article 239AA is required to fulfil the constitutional mandate for a democratically elected government in Delhi. "More than 1.14 lakh vacancies are there, but I cannot fill it up and have to seek LG's permission. I can't take steps to stop deaths in sewers. This is hampering governance. The LG cannot use his power under Article 239AA proviso (4) to stultify the daily governance by sitting over the files," he said. Justice Chandrachud said that LG cannot stultify a scheme by sitting over the files instead he is bound to under Article 239AA to refer the matter to President in case of difference of opinion. Subramanium said the Delhi government accepts the supremacy of Parliament and its powers but motive behind incorporating Article 239AA in the Constitution by amendments was to give voice to the people by democratically elected government. He said that proviso (4) in Article 239AA cannot be used by the LG to frustrate the constitutional mandate of an elected government in Delhi. "Law is very clear at present that LG partially enjoys delegated powers of President and partially he has to work in aid and advice of council of ministers. If their is difference of opinion, then he may refer the matter to the President for early resolution," the bench said. Arvind Kejriwal government also blamed Centre for paralysing the executive functions of the demoratically elected government in Delhi through the LG. "I want proviso (4) of Article 239AA to be given a meaning which is consistent with the scheme by which both can co-exist, as was the motive behind the amendment in Constitution", Subramanium said. To this, the bench said there are three things -- executive action, difference of opinion and validity of such opinion, which needs to be deliberated. "Parliament's supremacy is not doubted but legislative existence needs to be accepted and both can co-exist. It is the synergy which is relevant with respect to Article 239AA," the senior advocate said. He said the Delhi High Court had said that LG will not be bound with the aid and advice of council of ministers and he is the administrative head. "I can show a series of orders of LG which are in excess of executive functions. Then why have a government when it can't exercise its duties," Subramanium said. The bench observed that when laws were already there, Delhi government is free to implement it and where there are no laws, the legislature can make it in concurrence with LG and if there is a difference of opinion, then LG's decision is binding. "This is a case where LG enjoys supreme power and is the ultimate authority where aid and advice of council of ministers is neutralised," Subramanium said, adding that the Delhi High Court had said that LG in Delhi has more powers than the President or the governor of any state. The apex court had on February 15 referred to the constitution bench the pleas filed by the AAP government against the high court verdict which had held that Delhi is not a state and the LG is its administrative head. On August 4, the High Court had ruled that Delhi continues to remain a union territory under the Constitution with the LG as its administrative head. It had said that the special constitutional provision Article 239AA dealing with Delhi does not "dilute" the effect of Article 239 which relates to the union territory and hence, the concurrence of the LG in administrative issues was "mandatory".